2016's Battlefield 1 reset the series' numbering sequence back to one as it took the action to the battlefields of World War I. With the next game in the series move to World War II, you might expect that I'd be reviewing a game named Battlefield 2, but we're back to the main numbering sequence again although we've switched to Roman numerals now. Battlefield V is far more closely related to Battlefield 1 than it is to Battlefield 4, though. 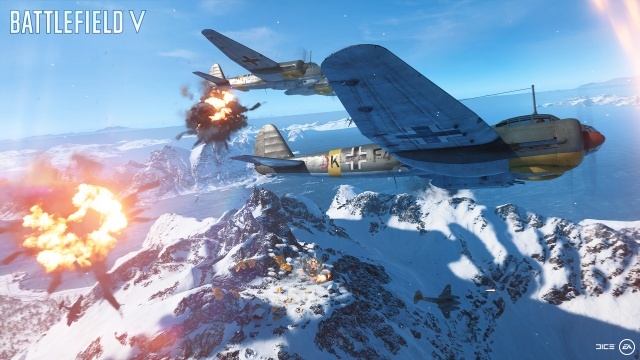 Operations mode returns, although it's now evolved into Grand Operations, and Battlefield V also includes a single player mode dubbed War Stories. Battlefield V is not just a World War II version of Battlefield 1, though. It evolves the gameplay of its predecessor, and plans to keep evolving though its Tides of War service. Tides of War is a series of planned game updates and expansions, with three updates already announced before the game has launched. Each will focus on a different aspect of combat and include new War Stories, maps, modes, and game features. While arguably a couple of these features such as the Practice Range and vehicle customization should probably have been included at launch, there's no question that a lot of new content is in the pipeline for the game within the next four months. At launch the game includes three different War Stories, giving you three single player mini campaigns to play though. These are not just repurposed slices of multiplayer modes and maps, but unique levels created specifically for single player play. Furthermore, these modes resist the temptation to recreate the large, more well-known battles of World War II, instead choosing to bring to life smaller and lesser known engagements. Under No Flag has you taking on the role of a criminal who is given a chance at redemption in exchange for volunteering to join a covert British unit. This story will have you operating behind the lines in North Africa, sabotaging German air bases and supply depots. 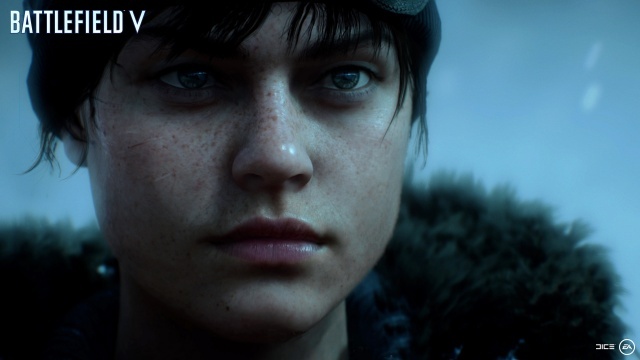 Nordlys casts you as a young Norwegian resistance fighter on a mission that unbeknownst to you has ramifications that go far beyond the occupation of your homeland. Tirailleur puts you in a more familiar role as an infantryman, but tells a story from World War II that is not well-known. You play as a soldier in a Senegalese unit in the French Colonial Forces fighting to liberate your "homeland" of France, a place that you've never seen before. I enjoyed the story told by each of these War Stories, the writing and voice-acting are well-done and the stories are both unique and genuinely interesting. What I really liked about the War Stories, though, is that they don't force you down a pre-determined path. The maps give you a lot of room to maneuver and you can accomplish each objective in multiple ways. For example, in Under No Flag, at one point you're tasked with raiding three German installations. You can choose to take them on in any order, but let's say you decide to detonate the supply dumps at the airfield first. You can sneak your way in, stealthily killing the base's guards or try the more difficult tactic of an open assault. But if you look carefully, you'll see a Stuka sitting on an isolated part of the runway. Steal that plane and you can use its canons and bomb to take out those supply depots from the air. Another thing that I like about the War Stories is that they are no cakewalk. Even at the default difficulty level of "medium", which is only the second of four difficulty levels, you'll find yourself challenged. The enemy AI is good - you're not just fighting a bunch of mindless multiplayer bots here. I know that a lot of players will go straight to the multiplayer modes in a Battlefield game, but you'll be doing yourself a disservice if you bypass this excellent and enjoyable mode. The multiplayer mode is a squad-focused, class-based game. There are four classes in the game: the Assault class is the rifleman class, the Medic provides health packs and can perform quick revives, the Support class carries heavy weapons and provides ammo packs, and the Recon class is the game's sniper class. Not coincidently, squads consist of four players as well, and the game encourages players to play together as squads. However, if you're jumping into the game solo, you'll be assigned to a squad automatically but you aren't in any way forced to remain with them. The benefit to being in a squad is the mutual support you give each other, but you can go about on your own and just use them as mobile spawn points when needed. Before spawning on a squad mate you can cycle through camera views of what they are doing which is a nice feature. It's possible to subclass each of these four classes as well so that you can specialize them to your playstyle, and currently there are two subclasses available for each class. 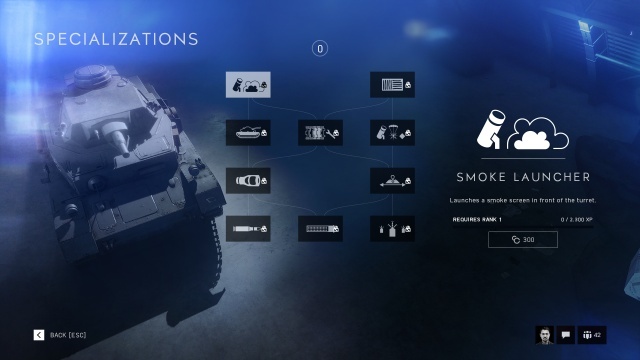 For example, you can give your Assault soldier access to more ammunition and better health recovery, or specialize as an anti-vehicle buster instead, gaining a bonus to spotting vehicles for your team and bonus requisition for destroying vehicles. You won't be able to change from the default specialization until you level up that class by playing as it in multiplayer matches. You can customize the loadout for each class through the game's Your Company feature. Here you'll have access to all four classes, for both the Axis and Allied factions, and you can select your weapons and equipment for each class. Not everything will be available at first, as you'll have to level-up as each class to unlock them. You'll also be able to level-up individual weapons and vehicles, leading to unlocks of both cosmetic options and weapon characteristics. The characteristics will allow you to customize weapons and vehicles to your playstyle (vehicle customization won't be available until the first Tides of War update in December 2018). For example, you may prefer to have more accurate hip fire or to be able to aim down your sights faster. Eventually, you'll build up an entire tech tree for each weapon and vehicle, but in addition to reaching the requisite level you'll also need to spend in-game currency to unlock individual upgrades and cosmetic items. All currency in Battlefield V is grind currency, so you'll earn it all on the battlefield, so to speak, and without paying cash for micro-transactions. This currency is related to the points that you earn in matches, and there are plenty of ways to earn points beyond scoring kills. Spotting enemies, hitting enemy soldiers and vehicles with weapons fire, capturing objectives, providing supplies to allies, and more, so even if you like to play a support role or can only manage a fractional K/D ratio you'll be able to generate currency. You'll have some cosmetic customizations available for every class right at the start, but it will take a little time for you to grind your way through unlocking everything that's available to buy. As for game modes, the marquee mode in Battlefield V is Grand Operations. The Grand Operations battles are multi-phased, playing out as a series of matches that together form the narrative for some of the larger battles of World War II. All these battles, like the game itself, focus on Western Front action between the British and German armies. Each round features an objective-based game mode, with the winning side in a round given a bonus in the next, such as faster vehicle respawn times. In Grand Operations you're in it for the long haul, there are no decisive victories before you've completed the final round. Once the final round is complete, the game declares a winning side. If a game is considered to be too close to declare an outright winner, a bonus round called Final Stand is played. Final Stand is like a team-based battle royale mode in which revives are allowed but not respawns and the last team standing wins. Grand Operations is really Battlefield at its finest. With 64 players battling it out on foot, in vehicles, and in the air on large, detailed, destructible maps the action is always intense and exciting. The game is almost a sandbox for trying out new strategies and tactics, and you never quite know what to expect as the games never play out the same way twice. The scale of this mode is impressive, making you feel like you are actually part of a large battle rather than an artificially constructed multiplayer match. With this scale comes commitment, though, Grand Operations is not the kind of mode that you can sit down and play for a few minutes. In fact, you'll have to set aside an hour or more to get through one battle. For the most part I enjoyed this time with the game and it passed quickly, although I must admit that some matches started to feel like wars of attrition towards the end. You'll want to keep the length of these matches in mind if you're the type who prefers to pack in ten multiplayer matches in an hour. There are, of course, other match types available in Battlefield V for when you're shorter on time or just don't feel like committing an hour or so to a single game. All game modes are team-based, and outside of Team Deathmatch they are all objective-based. The teams will always be fighting for control points, with the variations between the modes determining how many control points are active at a given time and how those control points move or change during the course of a match. On the one hand it may seem that the game is too control point centric in its match design, but objective capture style gameplay is really what suits Battlefield V the best. The game is designed to create battlefields, not to hit all of the touchstones of typical multiplayer shooters. Tides of War will be introducing a major mode early next year with Battlefield V's take on battle royale. Dubbed "Battlefield Royale" it will be interesting to see if the developers put a unique spin on that mode that makes it more true to the Battlefield spirit rather than add a simple free-for-all deathmatch mode to the game. The maps in the game are all impressive, and provide for a variety of environments and battle types. 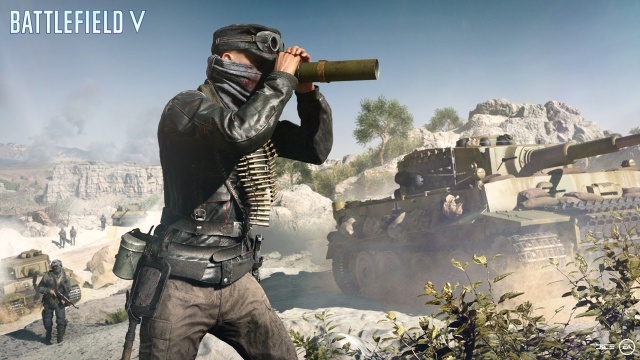 Bombed-out cities, farm fields, and snow-covered alpine peaks are some of the locations in which you'll be fighting pitched infantry battles or open armored warfare. The Rotterdam map is particularly interesting when played in Grand Operations. Before the last phase of the mode the Germans unleash a bombing raid of the city, turning the map from an urban battle to a fight among piles of rubble and twisted metal. Not only are structures and features on this map destructible - and that destruction is completely dynamic based on the damage done - but the terrain itself has an effect on the battle. Vehicles will slow and struggle through mud, and tall grass will move and sway as soldiers move through it. In addition to destruction, Battlefield V lets you build as well. Take over a control point and you'll have the opportunity to construct walls and sandbag fortifications to help you keep control of it. This last feature is a good addition, but it can get out of control if you're not careful. After a bunch of players build everything out that they can you can often find that it can be difficult to find good sighting and firing positions from within your fortifications. As for control, you can drive the vehicles and fly the planes from a first or third person vantage point, leaving it up to you whether you prefer immersion or a better view of the environment around you. In a related nod to gameplay over realism, Battlefield V removes random bullet deviation. It still implements bullet drop over distance, but for the most part where you aim your weapon is where your bullets will go. Not entirely sure how I feel about this, but due to the size of the maps it's probably a good thing from a gameplay perspective. Movement as a soldier is fluid and natural, and it's easy to transition from running to vaulting or pulling yourself up and over an obstacle. Conversely you have to be careful on some terrain or you may find yourself sliding down a slope or tumbling off of a rock face. Overall, I really enjoy playing Battlefield V and look forward to continuing to play it as it evolves through the Tides of War service. The battles are very action-packed and dynamic, and each battle feels like a unique experience even though they are played out over the same set of maps. I also like that the game isn't strictly-focused on kills, and that there are plenty of roles to play in a battle to help your side achieve victory beyond racking up the most kills. Also, and I feel that this is important, there is not a significant penalty to being a new player in the game. While you won't have access to all of the weapons and equipment when you're starting out, you won't be at a significant disadvantage against players who've unlocked all of the weapons and tech trees as you can be in some games in which new players are simply fodder for high-level players with significantly better firepower. If you're looking for a multiplayer shooter that offers more than twitch-based gameplay and is not strictly focused on kills, then you should definitely give Battlefield V a try. Final Rating: 92% - Battlefield V delivers epic battles on a World War II scale.